I would like to congratulate you and your friendly country, Fiji, on your election as President of the present session of the United Nations’ General Assembly, I wish you all success during presidency, which you have promised would be one “for the whole house.” Such a promise, if kept, would strengthen the neutral role of the President of the General Assembly and shed a bright light on the facts that some are trying to conceal. As we meet once again, our world is going through a grave and dangerous period. Terrorism, which we have cautioned against repeatedly from this very rostrum, has continued to grow and gain ground, claiming the lives of more innocent people and causing death and destruction as it rages unabated across the world. The blood of Syrians was not enough to quench its thirst. It had to go after the citizens of many other countries, including those that have supported and sponsored it. These innocent people are now paying for the mistakes of their governments, which have ignored the interests of their people and adopted shortsighted policies. For more than five years, the Syrian people, no matter their affiliations, have paid dearly for the crimes of terrorists who have shed the blood of Syrians and undermined their security, stability, and livelihoods. Terrorism has spared no one, targeting even schools, universities, hospitals, places of worship and infrastructure. Everyone knows full well that terrorism would not have spread through my country if it hadn’t been for the external support of well-known countries. It is no longer a secret that Qatar and Saudi Arabia have played a part in this, promoting their Wahhabist Takfirist ideology and their death fatwas that have nothing to do with Islam. They have bragged about supporting terrorism in every way, sending into Syria thousands of mercenaries, equipped with the most sophisticated weapons. Meanwhile, Turkey has opened its border to let in tens of thousands of terrorists from all around the world and has provided them with logistical support and training camps under the supervision of Turkish and Western intelligence. It has even supplied these terrorists with direct military support, as was the case in Idleb, Aleppo, and rural Lattakia. I would like to refer you to a study published seven months ago by a German institute, the Firil Center for Studies. According to the study, more than 360,000 foreign terrorists from 83 countries have entered Syria since April 2011. By the end of 2015, the Syrian Army was able to kill 95,000 of those, while 120,000 returned home or travelled to other countries. We, in Syria, are combating terrorism on behalf of the whole of the world. Every time the Syrian Army kills another foreign terrorist, it spears the lives of many innocent people who could have died in a terrorist act carried out by the same terrorist upon returning to his country. Anyone who seeks to distort this fact must be held responsible for the spread of terrorism and the increasing numbers of victims. Our valiant Army deserves to be commended and supported. It must never be the target of schemes and lies. The terrorist campaign against my country is taking place in full view of a polarized world; There are those who have chosen to support international law and the principles of the Charter, while others have decided to turn a blind eye to the truth and to support, finance and arm terrorists, under false pretexts that depart from logic and reason. They choose, for example, to refer to these terrorists as “moderate armed opposition,” even though there is irrefutable evidence that these groups have committed against Syrians crimes and massacres that are no less barbaric than those of ISIL or Al-Qaeda. Some consider people who take up arms against the state and its citizens “illegitimate opposition” as long as they are in Syria, while the exact same people, on any other day and in another country, would be considered terrorists, or at least outlaws. Despite all of this, all Syrians; the people, the army and the government, will not relent in their fight against terrorism. They are determined, more than ever before, to eliminate terrorism wherever it exists in their country and to rebuild a better Syria, because they are well aware that their homeland will cease to exist if the terrorists and their backers emerge victorious. Our belief in victory is even greater now that the Syrian Arab Army is making great strides in its war against terrorism, with the support of the true friends of the Syrian people, notable the Russian Federation, Iran, and the Lebanese national resistance. Such support has helped strengthen the resilience of Syrians and alleviate their suffering. We truly hope that other countries will wake up and realize, before it is too late, the danger that threatens us all. We have always welcomed all the international efforts to counter terrorism in Syria, but we stress once again the need to coordinate such efforts with the government of the Syrian Arab Republic and the Syrian Arab Army that has been combating terrorism on the ground for more than five years. Without such coordination, any action would be considered a breach of sovereignty, a flagrant interference, and a violation of the principles and purposes of the Charter. Without such coordination, any action will fall short of achieving real results and will even make matters worse. In this regard, the Syrian government condemns in the strongest possible terms the attack launched by American warplanes on a Syrian Army site in the vicinity of the Deir Ezzor Airport on 17 September, which allowed ISIL to gain control of the site. 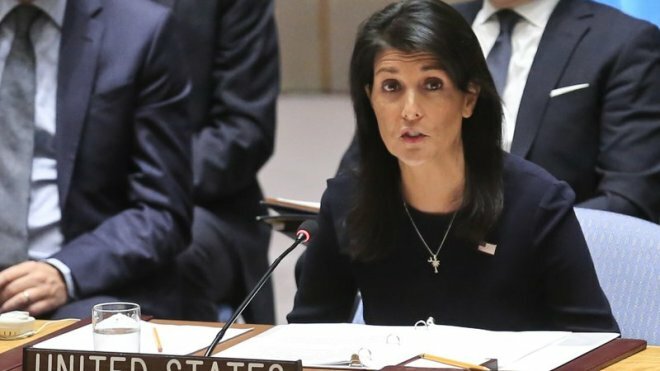 The Syrian government holds the United States fully responsible for this aggression, because facts show that it was an intentional attack, and not an error, even if the United States claims otherwise. This cowardly aggression clearly proves that the US and its allies are complicit with ISIL and other terrorist armed organizations. We also reiterate our condemnation of Turkish incursion into Syrian territories under the pretext of countering terrorism. This is a flagrant aggression and must be stopped immediately. Terrorism cannot be fought by replacing one terrorist organization with another. One cannot but wonder: how can a state that has been the main point of entry for terrorists and weapons into Syria claim to be fighting terrorism?! How can there be genuine and effective international counter-terrorism cooperation while relevant Security Council resolutions remain dead letter? Since the onset of the crisis in 2011, the Syrian government has declared that any solution must follow two parallel tacks; counter-terrorism track and a political track through an intra-Syrian dialogue that allows Syrians to determine the future of their country without foreign interference. All solutions dictated from the outside are categorically rejected by the Syrian people. Likewise, any political solution will not succeed in the absence of the necessary foundations and conditions for its implementation, including intensified counter-terrorism efforts and progress in the national reconciliation process, which has proven successful in a number of areas around Syria. Despite all the hurdles created by regional and western states that decide on behalf of the self-proclaimed “Syrian opposition” we have always been open to a political track that would stem the bloodshed and end the prolonged suffering of the Syrians. We reiterate our commitment to move forward with the Geneva track under the auspices of the United Nations. We recall our constructive position regarding the political solution. Such a solution must be based on respect for the sovereignty, independence and territorial integrity of Syria and the unity of its people. It should begin by establishing a government of a national unity comprising representatives from the government and the opposition, in all its factions, and tasked with creating a constitution drafting committee. Once the new constitution is approved by Syrians through a referendum, parliamentary elections would follow and a new government would be formed under the new constitution. 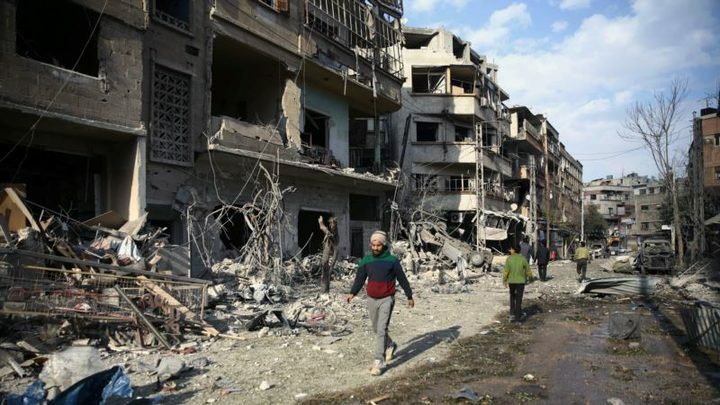 It is truly regrettable that some are exploiting the humanitarian tragedy and suffering of Syrians, especially in terrorist-held areas, and politicizing such suffering to achieve certain goals that have nothing to do with humanitarian principles or the interest of Syrians themselves. 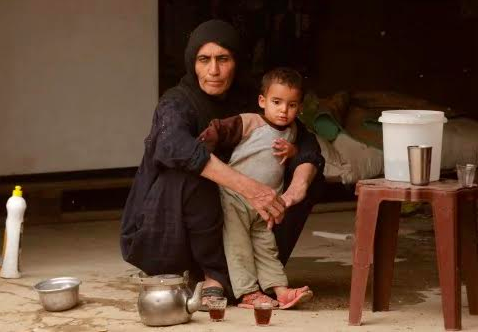 Some countries continue to shed crocodile tears over the situation of Syrians in some areas, accusing the Syrian government of employing a policy of sieges and starvation. All the while, these same countries continue to support and arm the terrorists that besiege civilians in these areas from the inside and use them as human shields and prevent the delivery of humanitarian aid or confiscate it. Ladies and gentlemen, make no mistake: no one is more committed than the Syrian government to ending the suffering of the Syrians and providing them with a life of dignity wherever they may be end without exception. This is a duty and not a favor. 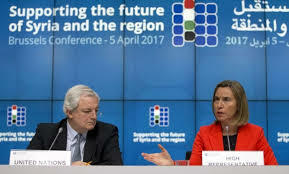 We will spare no effort to that end, including cooperation with the United Nations, despite all the difficulties we face as a result of the systematic destruction by externally-supported terrorist organizations, and despite the unilateral coercive economic and financial measures imposed on the Syrian people by the same parties that falsely claim to have the interests of Syrians in mind. Such unilateral measures have adversely affected many vital sectors, including health, education and energy. Syria is confronting mercenary terrorists on its territory today, but it has long confronted a different kind of terrorism; the terrorism of Israel that has occupied a precious part of our land in the Syrian Golan since 4 June 1967. Our Syria Arab people in the Occupied Golan continue to suffer as a result of Israel’s oppressive and aggressive practices. These practices are no longer confined to the Occupied Golan, and are currently affecting the security and life of Syrians in the southern part of the country. Israel is intervening militarily to assist in every way the terrorist organizations operating in that area. 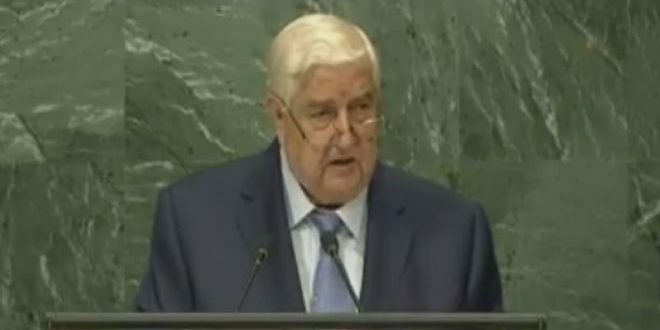 Syria calls on the international community to put an effective end to all these practices and to compel Israel to implement relevant United Nations resolutions, particularly resolution 497 on the Occupied Syrian Golan. 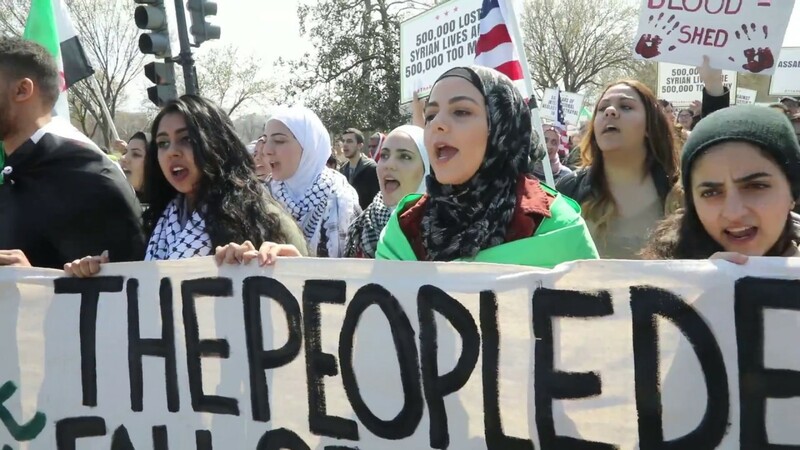 It should also compel Israel to allow the Palestinian people to enjoy their inalienable rights, including the establishment of their independent state, with Jerusalem as its capital, and the return of Palestine refugees to their land, in accordance with internationally-recognized resolutions. Syria reaffirms that Israel’s that Israel’s aggressive policies don not only threaten Syria but the whole region, especially given Israel’s nuclear arsenal. We have stressed time and again the need to compel Israel to join the Treaty on the Non-Proliferation of Nuclear Weapons (NPT) and other treaties on WMDs, and to subject its nuclear installations to the oversight of the International Atomic Energy Agency (IAEA). Syria stresses the right of states to use nuclear technology for peaceful purposes. We have always called for creating a WMD-free zone in the Middle East. In fact, we have efficiently and responsibly eliminated all chemical weapons in Syria, in cooperation with the Joint Mission of the Organization for the Prohibition of Chemical Weapons and the United Nations. In this regard, Syria reiterates its readiness to continue its cooperation with the Joint Investigation Mechanism (JIM), as well as to continue the Syrian relevant investigation. We can congratulate Cuba and Iran reaching agreements to lift the embargo imposed on them and we look forward to their implementation. We renew our call for removing the illegal economic measures imposed on the Syrian people and on other independent peoples in the world, notably the peoples of the DPRK, Venezuela and Belarus. In closing, we wish you and your people lasting security and prosperity. We hope that our organization will be able to regain the trust of the people, by upholding the provisions of the Charter, which calls for respecting the sovereignty and independence of member states and ensuring non-interference in their internal affairs. This principle, if implemented, would lay the foundations for genuine and fair relations among nations, after the greed and arrogance of some have shaken them to their core.